The Supreme Court vacancy left by Associate Justice Antonin Scalia, who died today, puts into doubt the outcome of several important cases yet to be decided by the court, including the Friedrich case regarding mandatory union contributions and the Evenwell v. Abbott case that will decide whether “one person, one vote” means one registered voter, one vote. 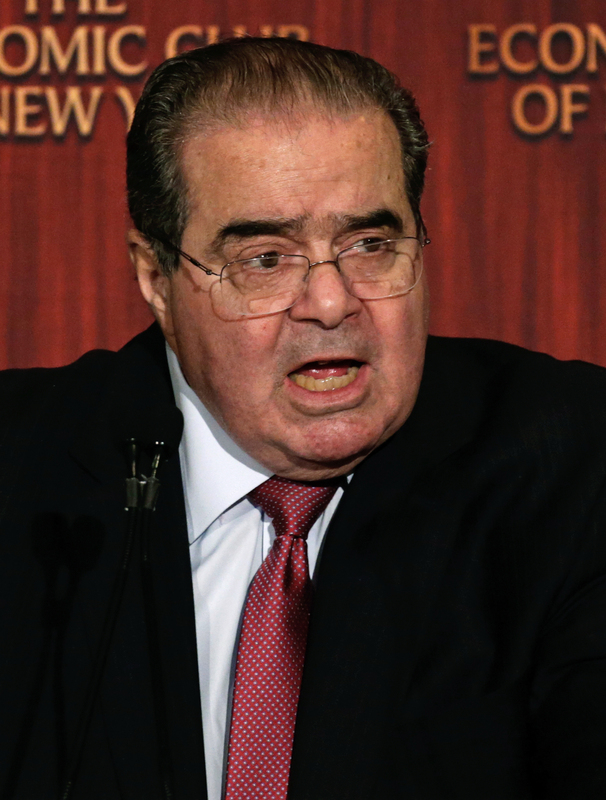 Justice Scalia served on the U.S. Supreme Court since he was appointed in 1986 by President Reagan. He was the longest sitting justice currently on the court and its most outspoken and well-known conservative voice. Until his replacement is confirmed, the court will continue to operate, but with only eight justices, there may be several tied 4-4 rulings with no majority opinion. In such situations, the decisions of the lower courts stand. Justice Scalia was an originalist and strict constructionist who based his judicial opinions on the language and historical context of the constitution rather than contemporary societal norms. He vehemently opposed attempts by the court to exert what he saw as legislative power. As he stated just last year in his dissent to King v. Burwell, the case that upheld the tax provisions of the Affordable Care Act, “The Court holds that when the … Act says ‘Exchange established by the State’ it means ‘Exchange established by the State or the Federal Government.’ That is of course quite absurd, and the Court’s 21 pages of explanation make it no less so.” “We should start calling this law SCOTUScare.” Justice Scalia was a brilliant and entertaining writer whose style and wit will be sorely missed even by those who disagree with his analysis. Supreme Court justices are appointed by the President upon the advice and consent of the Senate. The name of the nominee is sent to the Senate Judiciary Committee, which holds hearings and then decides whether to send the nominee to the full Senate for a vote. Typically the process takes several months, but there is no set time frame for any of these proceedings. The process is certain to be more political than usual coming as it does in a presidential election year. Republican presidential candidate Ted Cruz is a member of the Judiciary Committee. Should the Senate fail to act before its mid-July scheduled recess, the President may make an interim appointment when Congress is in recess*. The last president to do so was Dwight Eisenhower. Any justice appointed in this manner would need to be confirmed by the Senate upon its return to Washington. UPDATE (Feb. 14): The court is scheduled to hear argument in Whole Woman’s Health, which challenges a restrictive Texas abortion law, on March 2, 2016. Any chance of using the case to overturn Roe v. Wade or make a significant pronouncement regarding abortion jurisprudence died with Justice Scalia. Similarly, gone is the likelihood the court will reverse itself and declare unconstitutional mandatory public sector union contributions. Other crucial cases that may be decided differently due to Justice Scalia’s passing are United States v. Texas, (immigration benefits granted via executive action to unauthorized aliens), Zubik v. Burwell (religious challenge to opt-out requirements of the ACA mandate), Fisher v. University of Texas (racial preferences in higher education admissions), and Trinity Lutheran Church v. Pauley (free exercise challenge to discriminatory state funding). *The possibility of a recess appointment was significantly diminished when, in 2014, the court itself ruled that the Senate has wide discretion to determine its own calendar. Thus, although a few short recesses and a lengthy mid-July end-of-term recess currently are scheduled, the Republican-controlled Senate could conduct minimal business every three days in order to keep itself “in session.” The Senate’s modus operandi undoubtedly will be “Delay, delay, delay,” unless, and perhaps even if, President Obama nominates a consensus a/k/a conservative jurist. I certainly won't miss him; many of his opinions were written in a spirit of absolute contempt for plaintiffs and witnesses. He interpreted the Constitution in the same manner that Fundamentalists interpret Sacred Scripture--as dead, legalistic pronouncements. His notion of "original intent" fails even as a part of any philosophy of language, and it promoted a uniquely cruel spirit in Constitutional law.